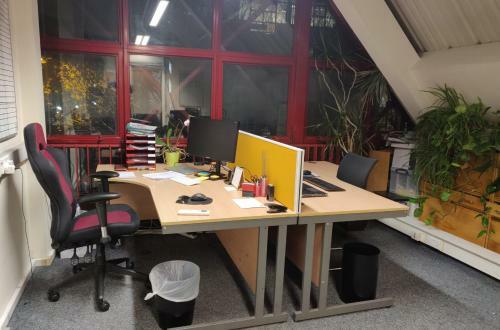 Comfortable desk space/office available to rent. The facility includes air conditioning, kitchen and bathrooms, a meeting room and a space in the fridge. Big monitors, computers, printing credits and parking spaces (directly next to the office) can be provided at an additional charge. You will get your own drawers which are key protected. 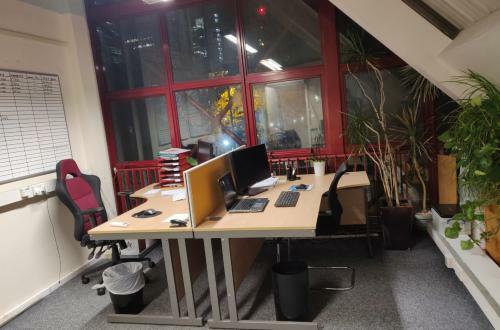 The office has live CCTV as well as electronic entry system to track of who/when entered the building. 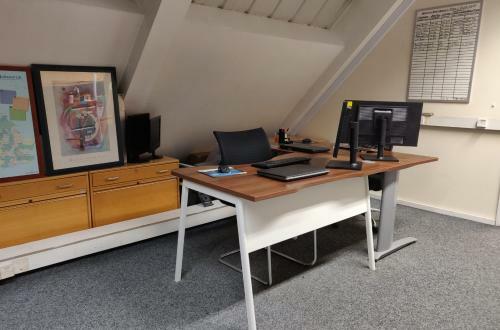 Big white desks are £250/month. 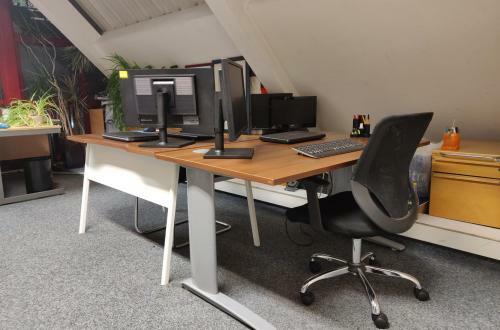 Small dark brown desks are £150 per month.